This student knows stuff. What does the student know? Where did they go wrong, and why do you think they went wrong? How might you help? 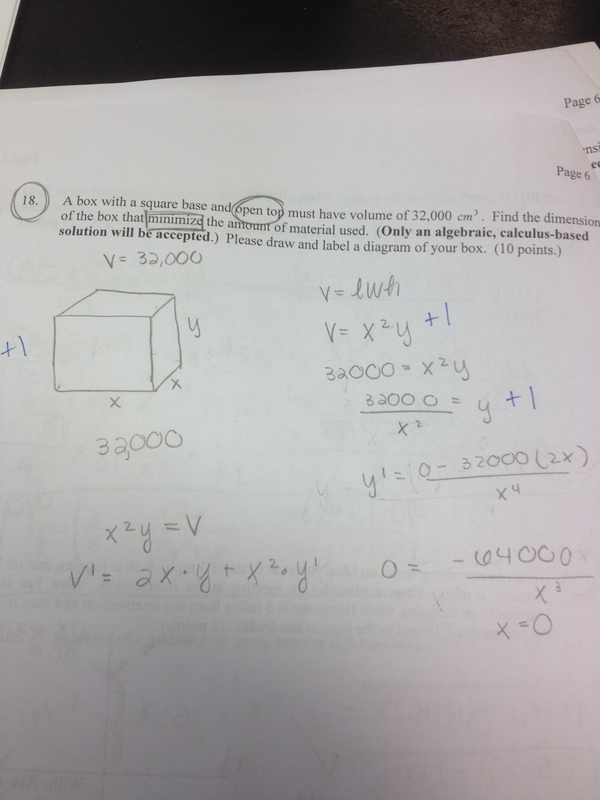 Posted in Calculus, Feedback, Max/Min Problems.